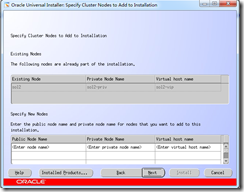 PROC-4: The cluster registry key to be operated on does not exist. racgons: Existing key value on sol1 = 6200.
racgons: sol1:6200 removed from OCR. Stop of `ora.sol1.vip` on member `sol2` succeeded. CRS-0210: Could not find resource ‘ora.sol1.LISTENER_SOL1.lsnr’. CRS-0210: Could not find resource ‘ora.sol1.ons’. CRS-0210: Could not find resource ‘ora.sol1.vip’. CRS-0210: Could not find resource ‘ora.sol1.gsd’. CRS-0210: Could not find resource ora.sol1.vip. Successfully deleted 14 values from OCR. Key SYSTEM.css.interfaces.nodesol1 marked for deletion is not there. Ignoring. Successfully deleted 5 keys from OCR. 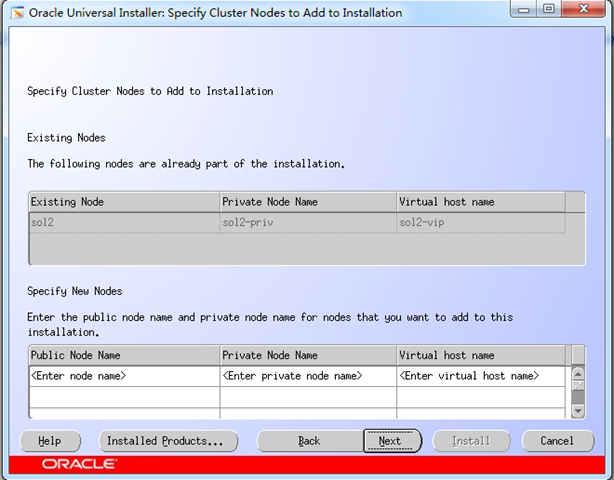 INFO: Setting variable ‘ORACLE_HOME’ to ‘/oracle/app/oracle/product/10.2.0/crs_1’. Received the value from the command line. INFO: Setting variable ‘PREREQ_CONFIG_LOCATION’ to ”. Received the value from variable association. INFO: Setting variable ‘FROM_LOCATION’ to ‘/oracle/app/oracle/product/10.2.0/crs_1/inventory/ContentsXML/comps.xml’. Received the value from a code block. 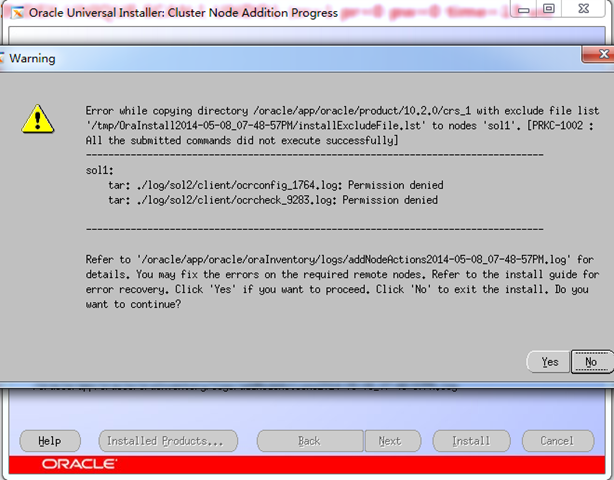 INFO: Setting variable ‘ROOTSH_LOCATION’ to ‘/oracle/app/oracle/product/10.2.0/crs_1/root.sh’. Received the value from a code block. INFO: Setting variable ‘ROOTSH_STATUS’ to ‘3’. Received the value from a code block. INFO: Unable to read inventory information for the home: /oracle/app/oracle/product/10.2.0/crs_1. 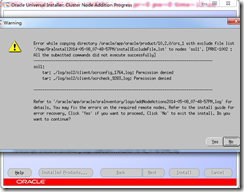 INFO: Setting variable ‘ORACLE_HOME_NAME’ to ‘OraCrs10g_home’. Received the value from a code block. org.xml.sax.SAXParseException: <Line 889, Column 9>: XML-20210: (Fatal Error) Unexpected EOF. UtilSession failed: Unable to parse the xml file. Node sol1 is already assigned nodenum 3. Aborting: No configuration data has been changed. use unless you positively know what you are doing. Creating GSD application resource on (0) nodes. Creating ONS application resource on (0) nodes. CRS-0223: Resource ‘ora.sol1.vip’ has placement error. Starting GSD application resource on (2) nodes1:CRS-0233: Resource or relatives are currently involved with another operation. Starting ONS application resource on (2) nodes1:CRS-0233: Resource or relatives are currently involved with another operation.